In those early years, he struggled a great deal. He worked 20-hour days and often slept for an hour or two in the basement. After the Sabbath was over, my father opened the store just to earn another four to five dollars. He spent the day in the store, and delivered in the early mornings and evenings. Even years later, my father worked ungodly hours. I personally remember his leaving for the synagogue and work at 4 a.m. The garage door would squeak as it opened up, signalling his departure while it was still dark outside. In addition to his hard work, I believe that the key to his success was his eye for innovation. 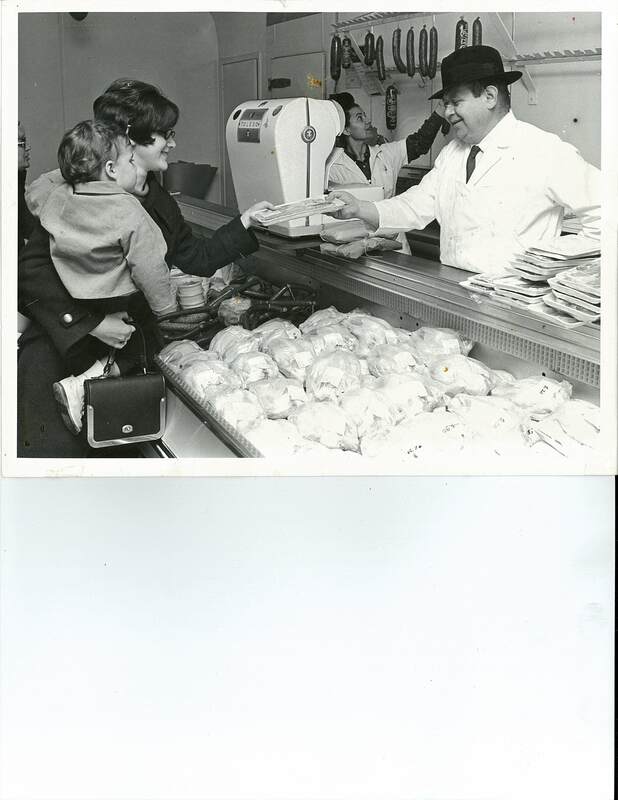 He was the first kosher meat shop to have self-service, prepackaged chicken and meat that could be picked off the shelves. Prior to Perl’s, in order to have kosher meat, one would have to soak the meat for an hour, salt it for twenty minutes, and then rinse it. At first the customers weren’t used to the service, but his ideas took off with others following suit. Not everything was cutting edge. 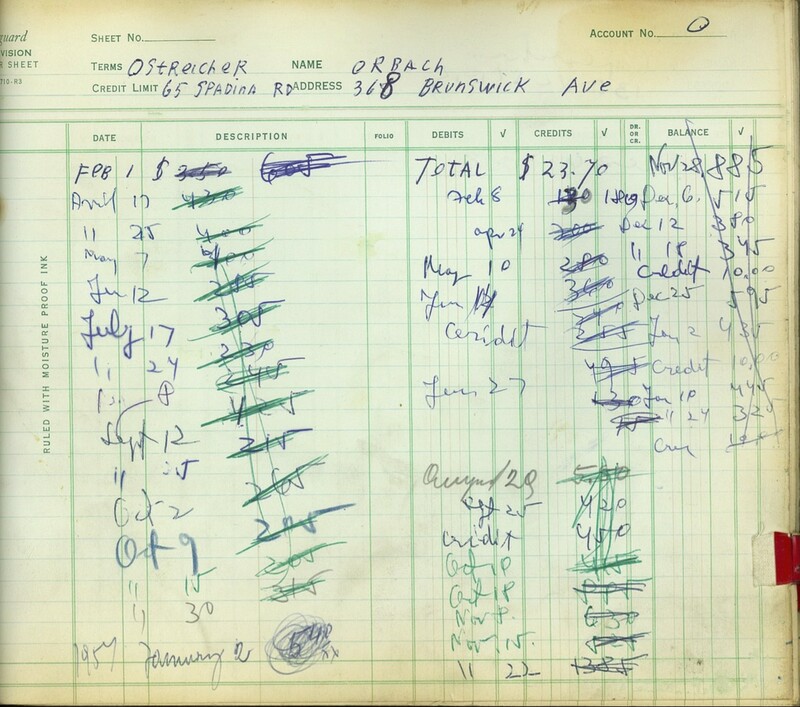 Of course, in those early years, he would use an old fashioned ledger for keeping tracks of his customers’ tabs. 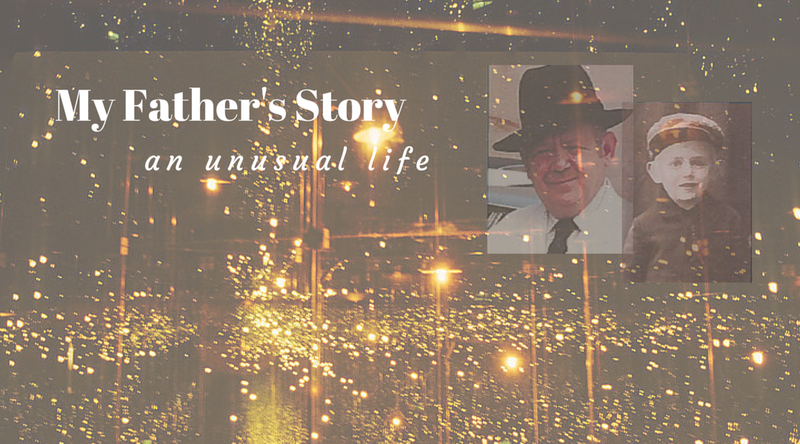 But the most amazing story is one that I have called “The Janowski Story.”It was the eve of Passover and the Janowski family’s order for the holiday was not ready in time; the delivery truck had already left with the other orders. Sundown and the onset of the holiday was approaching, and it would be impossible, according to Jewish law, to deliver the order. My father asked his rabbi if the delivery man, a non-Jew, could deliver it after sundown, but the answer was “No.” What would he do? A family could not be without food on the holiday. There was a solution at hand, but it wasn’t calling the Janowski family to utter his apologies for not being able to deliver their order. 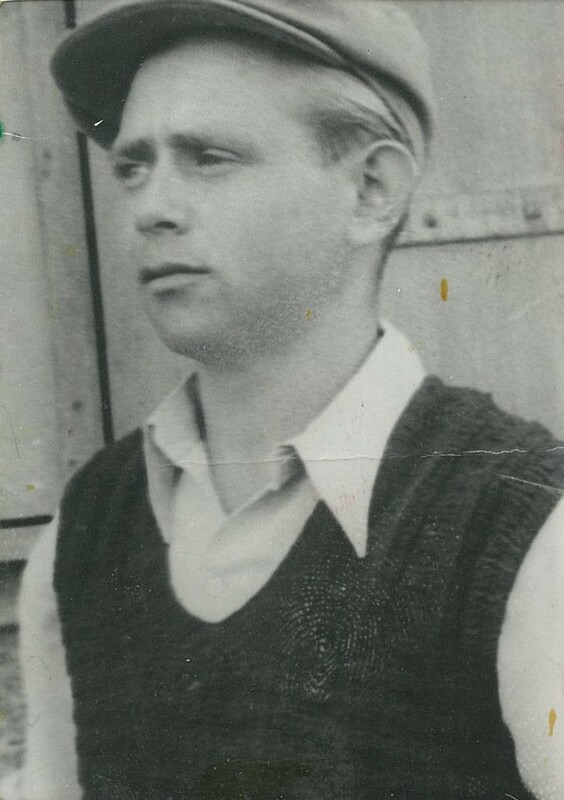 My father lifted up the 50-pound box of meat, hoisted it on his shoulders, and walked on foot from Bloor to Wilson Avenue with the box of meat. When he arrived to the house, drenched in sweat, Mrs. Janowski opened the door speechless. My father stepped in, dropped the box of meat, had some tea, and then walked another two hours back home. I have always thought this story to be somewhat incredulous in the sense of “Could it be true?” After learning more about his life during the war, especially that he walked 900 km across Hungary, this story has taken on a whole new level of veracity. A growing business was well and good, but what purpose did it serve without family? The answer to that question came a couple of years after he opened the store, in 1956, when he met my mother, Esther Perl z”l.